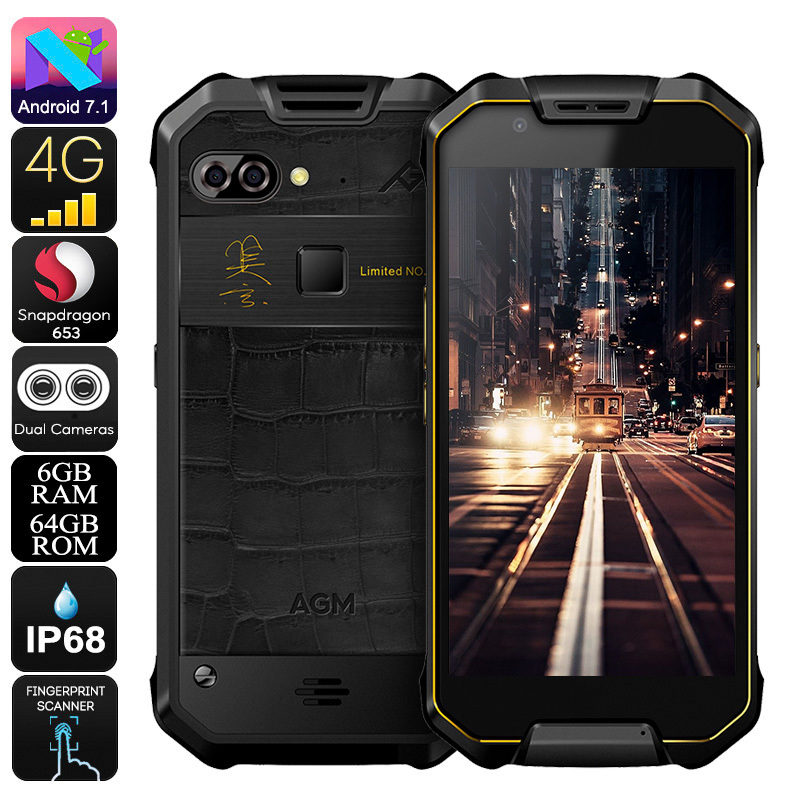 Successfully Added AGM X2 Rugged Phone - Android 7.1, 12MP Dual-Camera, IP68, Octa-Core CPU, 6GB RAM, 1080p Display, Dual-IMEI, 4G (Gold) to your Shopping Cart. Explore the globe with the AGM X2 rugged phone at your side. This Android smartphone features an extremely durable IP68 design. Thanks to this, it is resistant to water, drops, and dust. You’ll be able to carry it along anywhere you go and use it in literally any environment. Whether you’re in a dusty desert or humid forest, the AGM X2 Android smartphone will always keep you connected. It comes with Dual-IMEI numbers and 4G connectivity. Thanks to this, you’ll always be within reach to friends and family back home. Packed within its rugged body, this latest Android phone holds a powerful Octa-Core processor that has been clocked at 1.95GHz. Along with 6GB of RAM, the cell phone is sure to put forth an outstanding performance. On its 5.5-Inch FHD display, you’ll be able to play games, watch movies, and use Apps whilst enjoying stunning visuals. Simply head out to the Play Store where you can download all the media of your liking and you’ll never have to worry about feeling bored again. Together with its Android 7.1 OS, your Android phone is sure to meet all your smartphone demands. The AGM X2 smartphone comes with a 12 months warranty, brought to you by the leader in electronic devices as well as wholesale rugged phones..